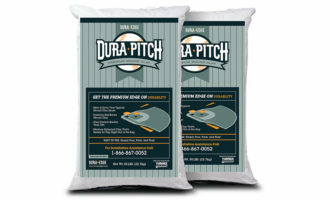 So you are getting ready to make a purchase of a product you need to maintain your sports field. You may be inclined to go for the lowest price product available — but are you sure of the impact of that decision? Many times people assume they are making the best decision financially by purchasing the lowest priced product. But the impact it can have on your crew and on your field can be eye-opening. Many look at upfront cost when they see a big price tag and instinctively shut down any further consideration without doing their due diligence to see if it’s actually worth the bigger price tag in the long haul. Let me give some real world examples from our nearby three‐field Little League complex. Let’s start with mound clay. Of the three fields at our complex, one is a 90’ diamond used by youth from 13-16 years old, all of whom wear metal cleats. Games are played 7 days a week (2 to 3 games per weeknight and 5 to 7 games per weekend day). 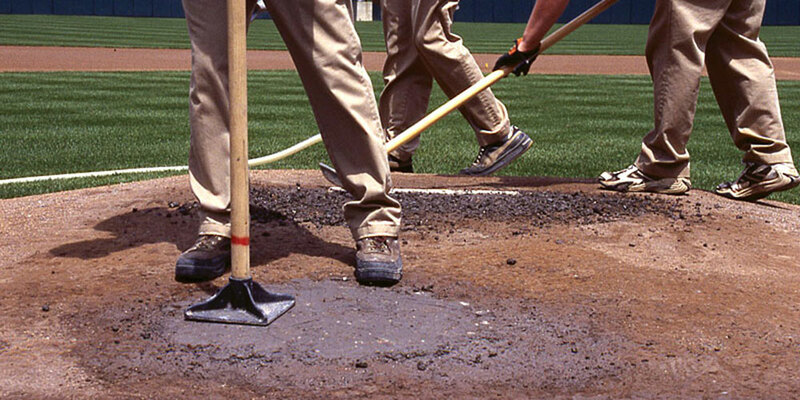 That schedule is for 20 weeks per year with only one opportunity per day to maintain the mound & batter’s boxes. We have used standard bagged mound clay for years and usually blew through one half to one bag of clay per day. The mounds are kept sufficiently moist and are covered whenever not in use to maintain moisture content. The standard mound clay performed satisfactorily, never any complaints except from my crew repairing them. This year we decided to try professional grade clay with higher clay content and the most expensive of all mound clays on our field where metal cleats are used. The results were astounding. The amount of damage to the clay areas each night decreased by more than 70%! The amount of clay required to repair the mound and plate also plummeted by approximately the same amount as well. In addition, we saved tremendously with labor due to the reduction of repair needed. The end result is we had fewer labor costs in repairing the clay areas because of the reduced wear and when we did repairs we needed far less clay. We anticipate that we can reduce our clay consumption by at least 50% for next year. These savings far outpaced the increase in cost for the product AND we actually provided a better and more stable playing surface for the player. Pitching rubbers and home plates in recent decades have had their rubber ingredients tweaked as costs for raw materials have increased during that time. The result is product that just doesn’t last or perform like pitching rubbers from a few decades back and they need to be replaced more often. Sure, they are cheaper but they wear more rapidly and bubble or deform much more quickly. The problem is it’s not always easy to do a quick change of pitching rubbers or home plate. Especially if you don’t do it frequently or you have never done it before. So labor hours are sacrificed in order to change them out each time. 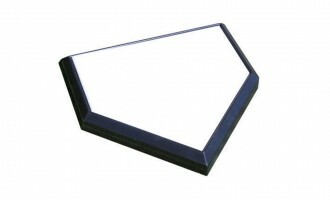 Compare those costs to the highest-quality rubbers and home plates on the market from Bulldog. Those products are thicker rubber and structurally more sound. Many people shy away from them due to their higher upfront cost. But their longevity and performance far outweigh the cost of the product. You’ll save considerably on labor since replacement is needed much less often. To me, this one is a no‐brainer. Dry line markers (chalkers). There are many chalkers that you can consider. As with many products, most customers look at the price tag and don’t consider the performance and potential overall savings. 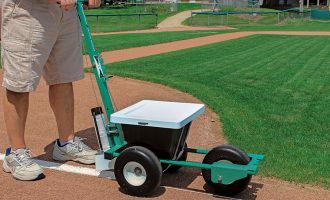 Beacon’s Streamliner Dry Line Marker is one of the more expensive field chalkers on the market, yet you can save big money with this machine despite the price tag. Thanks to the Streamliner’s “variable flow adjustment” you can control how much chalk you are applying to the field. Most chalkers are either open or closed, with no in between and no other adjustment than open-closed. Because of its ability to control chalk flow, customers routinely report using 30% to 50% less chalk with the Streamliner, resulting in huge savings in chalk purchases over the life of the machine. 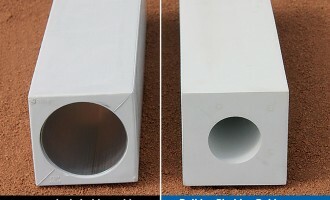 Additionally, the quality of the line applied is unparalleled in the industry. Again, the extra dollars on the initial investment ends up with huge savings over the long haul. These are just a few examples I could toss at you, but there are many more. The main take away from this blog is this: you get what you pay for. Do your due diligence when considering ALL of your equipment and material purchases. It is your job and obligation as sports field managers to be sure and manage your budget in the most efficient way possible by providing the best return on investment for your organization. Do the math, do the research, collect and analyze the data, and then make the purchasing decision. The most expensive product is not always the right solution and won’t always fit your application. There are certainly times that a moderately-priced or low-priced product absolutely makes the most sense over a higher-priced or higher-quality product. This is where your research and data will flush that point out. Money is a terrible thing to waste, so do your best to do it right the first time.